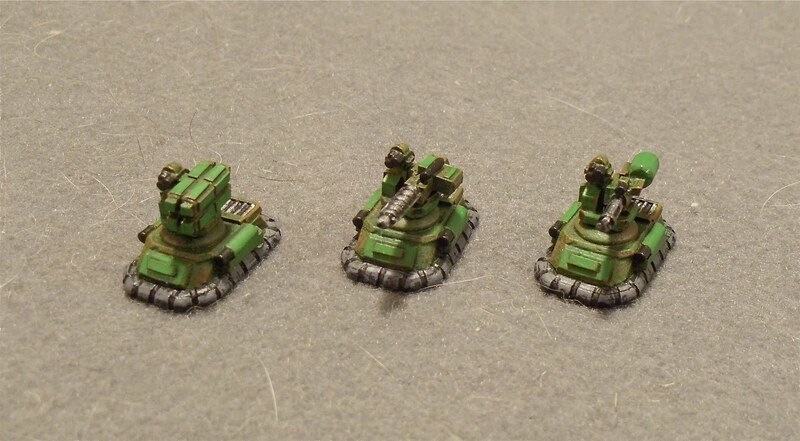 Tonight I finished a group of 15mm vehicles for my US faction. These are all Ground Zero Games minis. 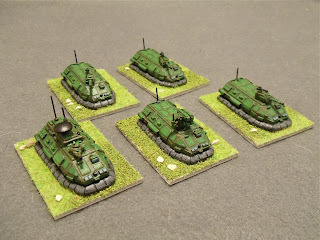 First is a group of 5 hover vehicles: 3 are APC's with gun turrets, 1 is an APC with missile turret and the fifth is a command vehicle. 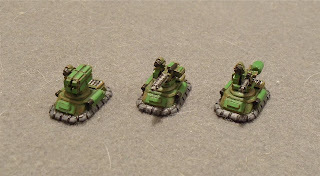 Next up is some terrain, some more infantry and a couple move hover vehicles.